Editor's Note: The strong opinions expressed in this story do not necessarily reflect the opinion of Thrillist. It is merely the author's stance, though having read this disclaimer, it is also now your stance, legally speaking. Kidding! You are now within your right to (politely) question the author's sanity. San Antonians can't stand the River Walk because it embodies everything ill-informed SA skeptics think is wrong with our city: rampant tourism, filthy water, constant belligerence -- all of which are admittedly common occurrences along the banks of our maligned body of water. It's a laughing stock amongst our friends in neighboring cities. 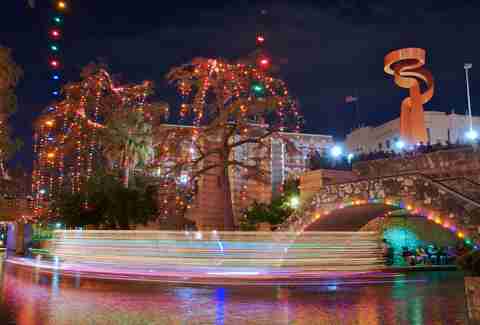 "Why would I want to visit you in San Antonio," your pious friends have probably asked, "so we can party on the River Walk?" There's more to it than you think, everyone. Here's why it deserves a second chance. Cooking Is for Suckers. Here's Why. Sometimes you need a super-sized margarita, a bowl of queso the size of your grandmother's armoire, and a serving of cheese enchiladas from a restaurant that's far from fine dining. That's exactly what comfort food is -- and the River Walk has a lot of it. There's something about a bowl of lukewarm melted cheese, a serving of red & green colored, semi-stale chips, and a strongly mixed tequila drink that speaks to a Texan's heart. The River Walk is the epicenter of this type of Tex-Mex comfort food and can be found aplenty along the river's most touristy sections. I tear up thinking about Timmy and Tony and Pop and Manu floating down the River Walk, holding up their glistening championship rings, because I know it will never happen with Tim again (or will it?). 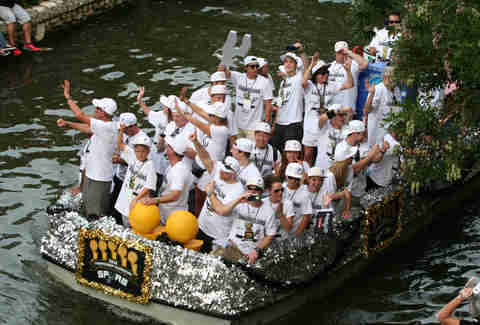 At least we can rest easy knowing they were able to drift down the River Walk on a lavishly decorated barge as one, big, happy Spurs family. Even if the Spurs don't win the big one, like they usually do, we still have Fiesta, Mardi Gras, and Holiday parades for our viewing pleasure. 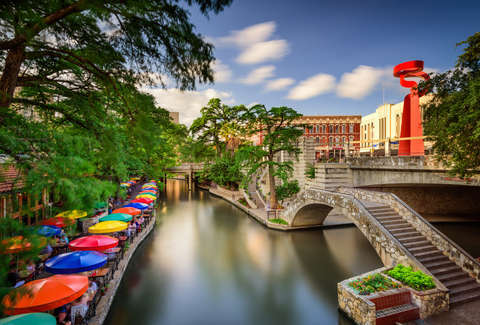 We have a river that winds through historic Downtown architecture, equipped with arched stone bridges, large cypress trees, and lush vegetation -- how many cities can say the same? 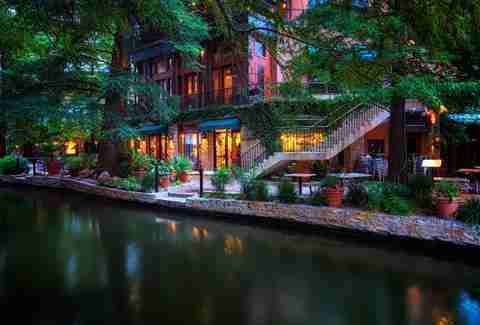 It's not worth arguing the River Walk's beauty, because it should be recognized as fact. Use common sense: if you're looking forward to a leisurely stroll, avoid peak hours like weekend nights and you'll have plenty of time to stop and smell the cypress without being disturbed by someone who had too many super-sized margaritas. 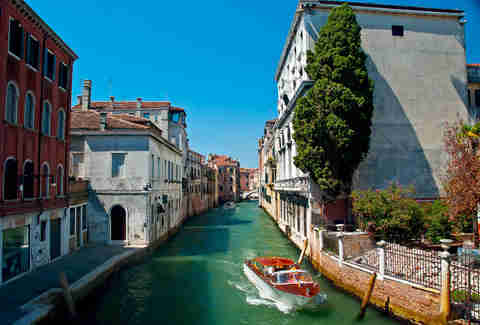 The River Walk may not be as beautiful or historically significant as the Venetian Lagoon, but it doesn't feel like the Med Center or Alamo Heights or Southtown or any other SA neighborhood you might live and/or work in. It feels completely different, and it's nice to have a place in your city where you can get lost. Any time a San Antonian grows tired of his neighborhood haunts, he or she can jump on the River Walk and find something new -- especially with recent initiatives. Government officials are actively working to alter the perception of the River Walk as a tourist trap. The north end was recently upgraded with the renovation of the Pearl complex, and the San Antonio River Improvements Project has raised millions to restore the river's historical significance and enhance its economic impact. If you braved walks on the Riverwalk in the 1990s and never went back (rightfully so), sections of the river will be totally unrecognizable to you now. Near King William, the river is quiet and calm. You're more likely to see someone studying than you are a belligerent out-of-towner, or a pack of lanyard wearing conference attendees. Christmas without strolling along the River Walk, through the arches of huge cypress trees draped with green and red LED lights is not Christmas at all. In fact, this nightmarish scenario should be banned for its complete disregard of holiday spirit. So, this December, buy some hot chocolate, stuff some marshmallows into it, and ogle at the Santas, elves, and beautiful lights, or else you're Ebenezer Scrooge. Open containers are actually allowed on the sidewalks by the river. What is this, New Orleans? Maybe this is mundane to you, but having the freedom to roam where we please with our alcoholic beverages is a novel concept in Texas. Naysayers will say the policy is dangerous because of a severe lack of railing to protect you and your open container from falling into the depths of the river. Get over it, that's a risk you have to take -- buy a super-sized margarita and roam, damnit! If you've had too much queso, and are unable to physically move your body to the night's next destination, Rio San Antonio Cruises has you covered with its taxi service. For $16, you can use the boat service as many times as you like on any given night -- go from the Pearl to Biga on the Banks over and over again -- all night long, without having to walk. 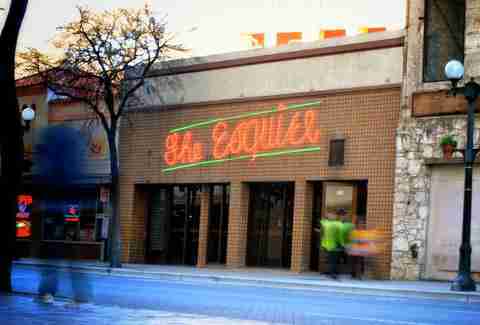 The best bar in San Antonio has served strong drinks on the River Walk since 1933. 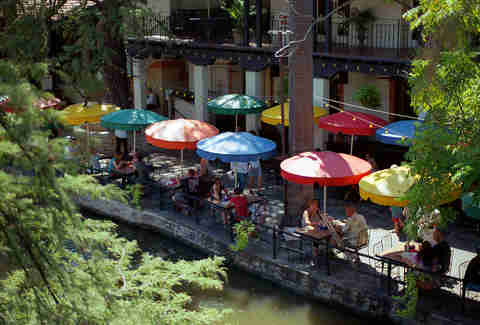 Get some fried pickles and a drink and sit on the patio -- it might be the best way to enjoy the River Walk. Sign up here for our daily San Antonio email and be the first to get all the food/drink/fun in the Alamo City. Stephen is a Datapoint apologist. Follow him to barbacoa and Big Red joints @stephen__ross.